Well, you need to read Wellth: How I Learned to Build a Life, Not a Resume by Jason Wachob, the Founder and CEO of MindBodyGreen. 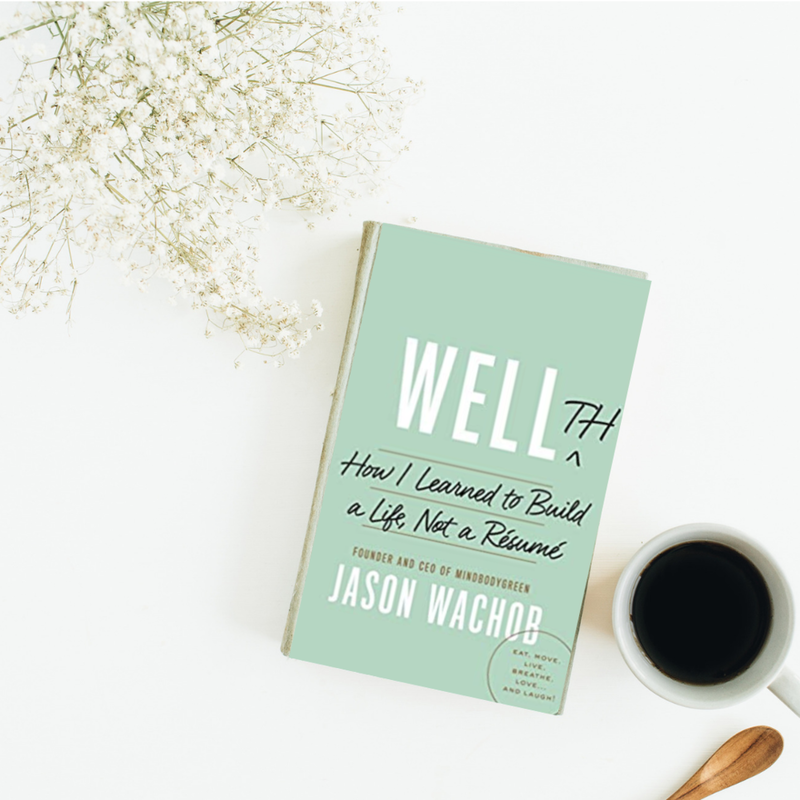 In Wellth, Jason shares personal stories, reflections from his own life, and then tips for how to ‘grow your life savings’ to live a more full, rich, and enjoyable life. He breaks down the building blocks of wellth and describes how to incorporate each into your life. I absolutely love this book and recommend to anyone who is looking to building a life bigger than just your work.